Calving ease with excellent performance. Dam is a Pace Performance Dam. 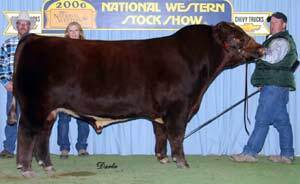 2005 BHSS Champion Bull.